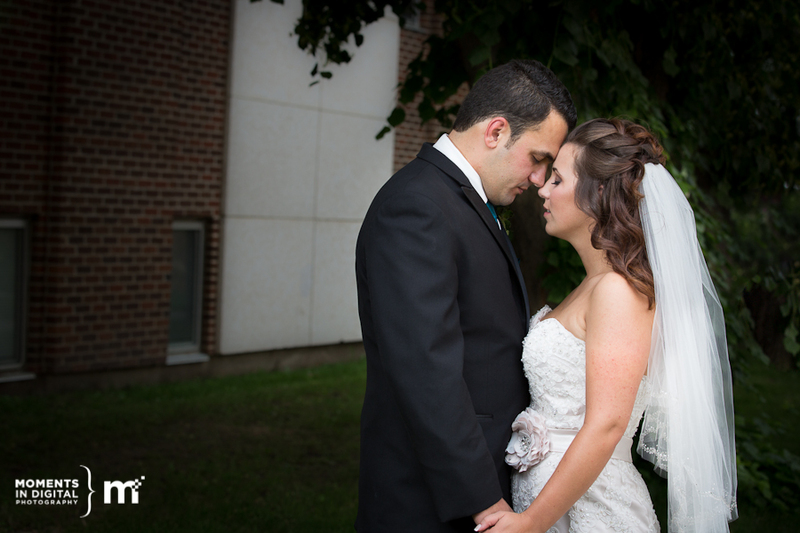 On Saturday, Sarah and I spent the day with Cassandra & Nelson to photograph their wedding day. You may remember this gorgeous couple from their engagement session which we photographed in Edmonton’s River Valley a few weeks ago.Â Edmonton Wedding Photographers – Moments in Digital. Cassandra and Nelson started their day by getting ready at the Marriott Hotel at the River Cree Resort and Casino. Fortunately the ammonia leak that happened at the adjoining arena didn’t result in the hotel being evacuated but it did lead to a slight delay getting to the church as traffic was backed up trying to evacuate people from the Casino and arena. 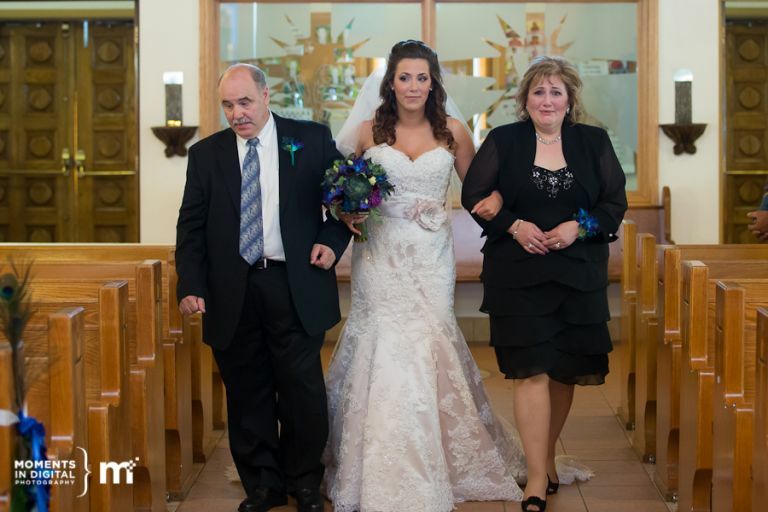 Cassandra’s beautiful wedding dress was from Crystal’s Bridal on Edmonton’s north side. 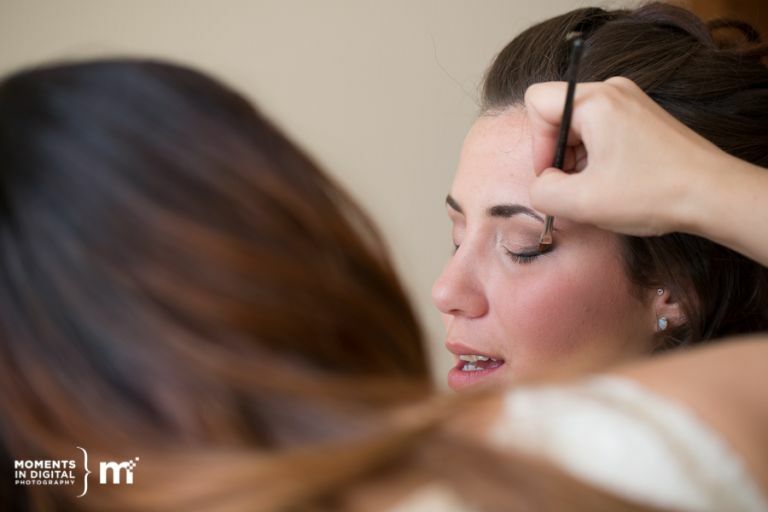 Edmonton make-up artist and stylist, Astrid Woodard from Eclectica Beauty Studio, did an amazing job on the hair and makeup for the bridal party. 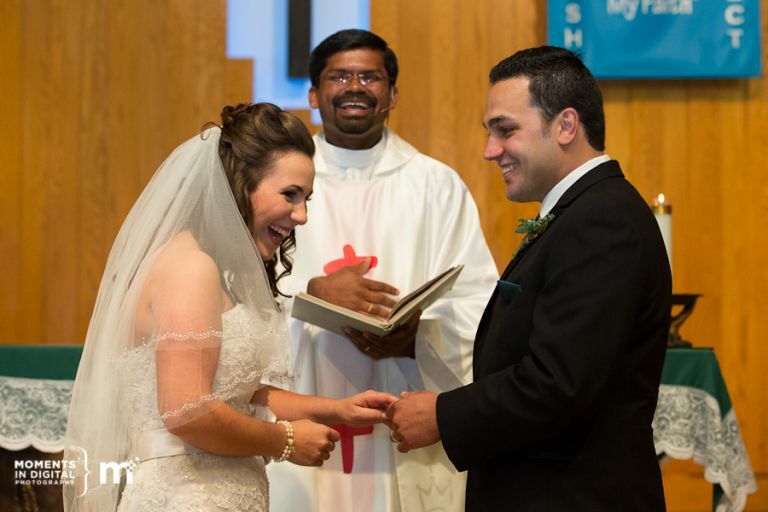 The ceremony was held at Santa Maria Goretti Italian Parish. Cassandra was gleaming as she walked up the aisle and her parents tried hard to hold back the tears but the rest of the ceremony was all smiles and laughter. After family photos at Borden Park, the bridal party headed to the University of Alberta for more photographs. The guys all looked pretty good in their tuxes and since most of them were from Calgary, we couldn’t help but give them a hard time about their hockey team. 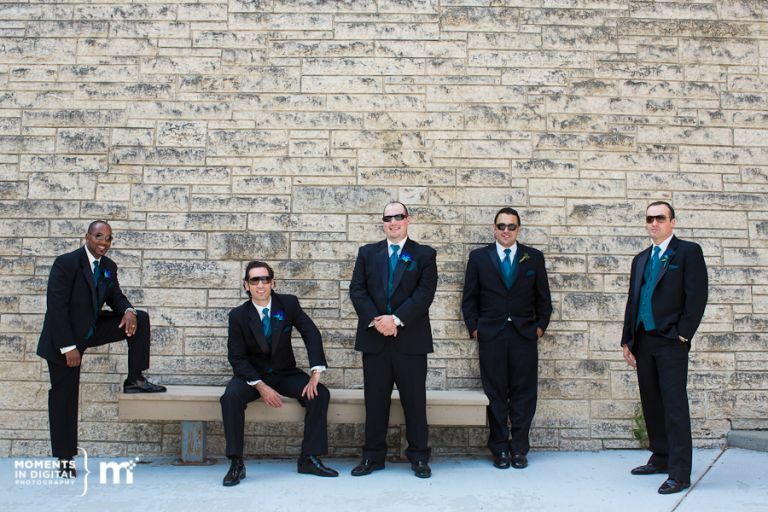 We finished with the bridal party and had a bit of time to sneak off with Cassandra and Nelson to photograph them before heading back to the reception at the River Cree. 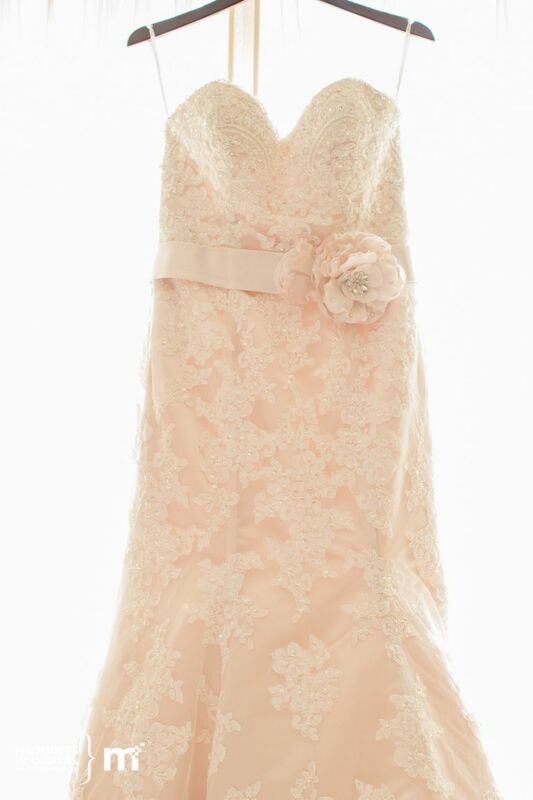 Cassandra looked amazing in her dress and Fabloomosity Florists did a wonderful job on her flowers. We wrapped up formals and were able to get back to the River Cree and into the reception room before it was open to the guests so we could photograph the decor. Cassandra and Nelson choose teal and black as the primary colors for their peacock inspired room which was designed by Maria at D’Lusso. Annie from Cake Couture designed their beautiful cake which featured a brass peacock named Henry that Cassandra had found in a store while shopping one day. Before dinner started, we snuck off with Cassandra and Nelson’s wedding rings to get some ring shots and of course we had to keep the peacock theme going. And here is one last teaser from Cassandra & Nelson’s first dance which took a bit of luck and a good sense of timing to get the lens flare just the way we wanted it. Thanks again to Cassandra and Nelson for inviting us to share in your special day and for giving us the opportunity to photograph your beautiful wedding. All the best for a happy life together! Really nice work y’all! Love the peacock theme and colors! Thanks Caitlin. Enjoyed your interview with Terra. We share the same weaknesses when it comes to photography.